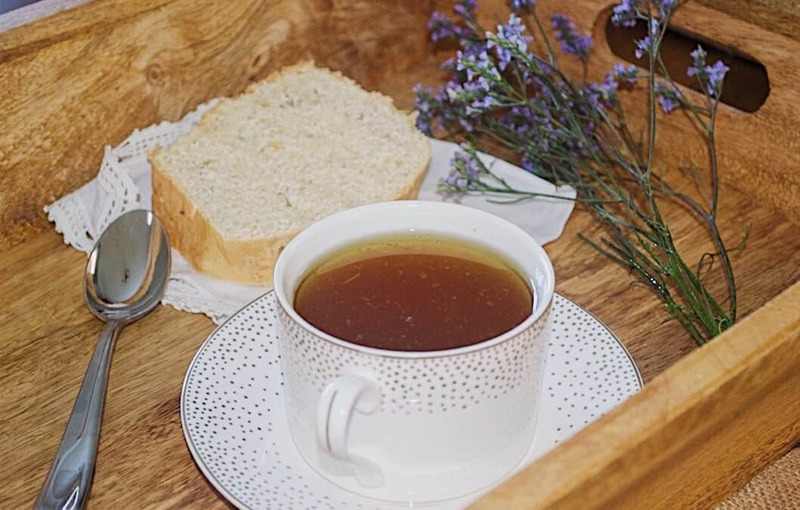 Bone broth is a wonderful staple to have in your kitchen due to its numerous uses and benefits. 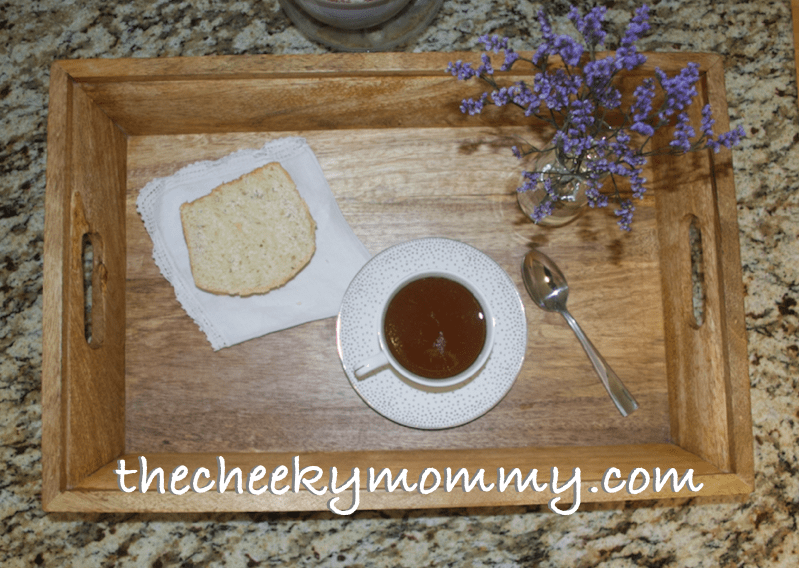 This homemade beef broth recipe is a tasty base for soup or gravy, a nutrient-packed fluid replacement for a sick child, or adds tons of flavor to steamed vegetables. I keep beef bone broth on hand at all times in the deep freezer in case anyone gets sick. Any time we cook a whole chicken or bone in steak, I always save the bones for broth! I like to make a big batch in the fall for the upcoming cold and flu season. 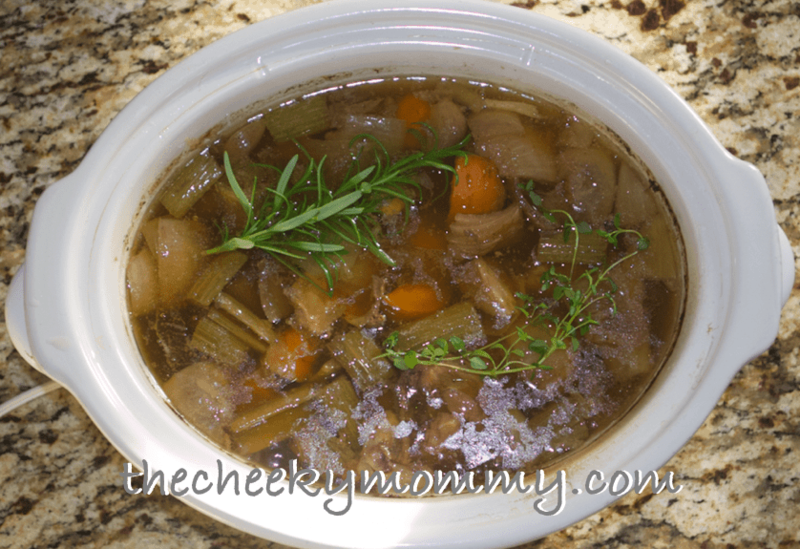 In this post you will find more information about the benefits of bone broth, my easy bone broth recipe, and tips to store bone broth in a deep freezer. 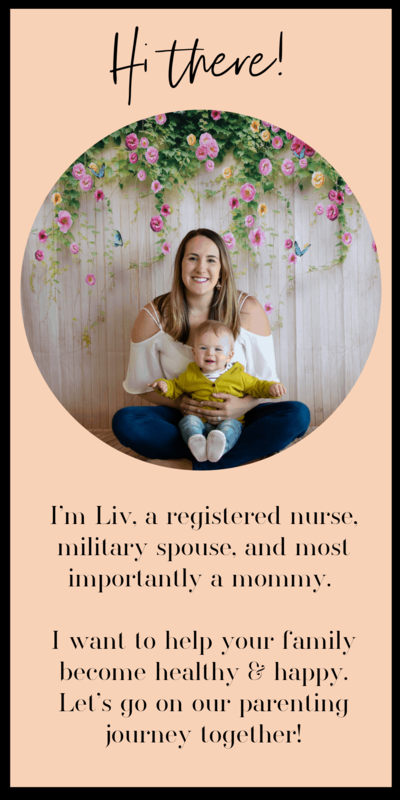 We earn commissions through affiliate links. Please read our full disclosure here. 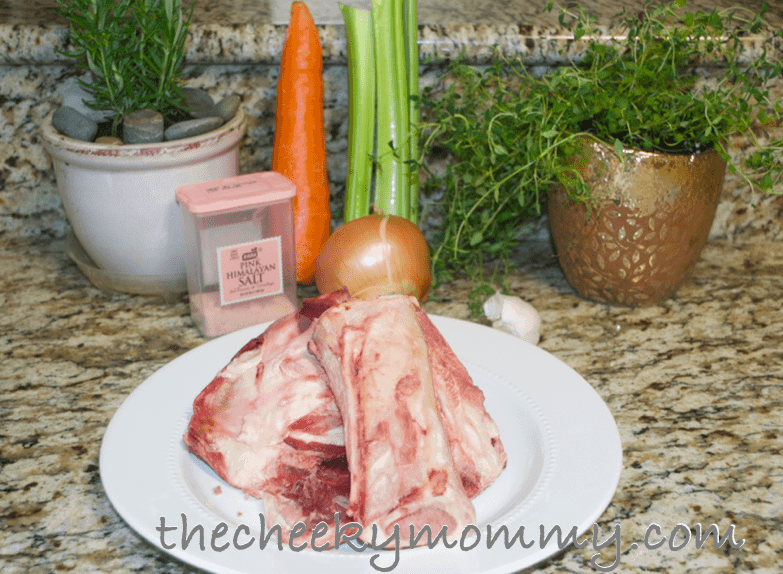 There are so many healthy reasons to consume beef bone broth! Peel the onion and roughly chop the carrots, onion, and celery. Divide the garlic cloves and smash them while leaving them in the peel. Place beef bones, chopped veggies, garlic, 2 tsps of Himalayan pink salt, 2 bay leaves, and 1 tbs of apple cider vinegar in large crockpot. Cover with 12 cups of water. Turn crock pot on low and cook for 24 hours. I usually start this recipe in the afternoon and go to bed with it cooking overnight. When I wake up in the morning I add the fresh herbs to the pot and continue to cook for the remainder of the 24 hours. Alternatively, if made in the morning, the herbs could be added before heading to bed. 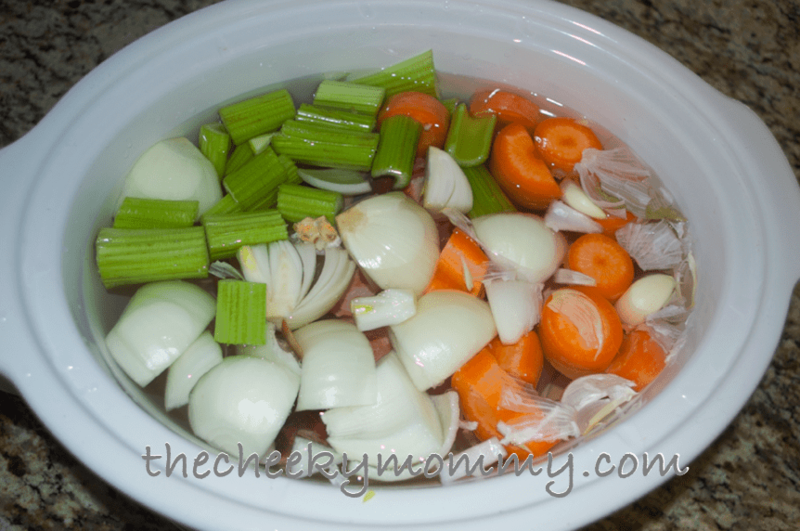 After 24 hours, turn off crockpot and let the broth cool completely before straining and prepping for storage. 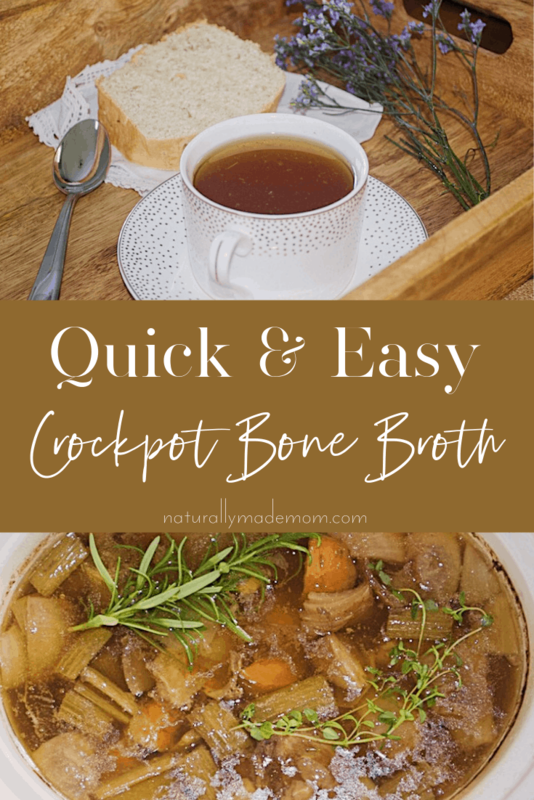 You may search for other bone broth recipes and find that some say to roast the bones in the oven for a bit before throwing them in the crockpot. They say this adds more flavor. To be honest, I have never done that. It is more work, more dishes, and you lost some of the great fat and nutrients to the pan! My homemade beef broth recipe has higher fat content because the bones are not roasted beforehand. It still tastes very yummy! You will notice that liquid will pool inside of the bowl of veggies. You can transfer them back and for from the large bowl to the small bowl using the strainer to capture all the liquid and to return to the crock pot of broth. You don’t want to lose any of that yummy stuff! 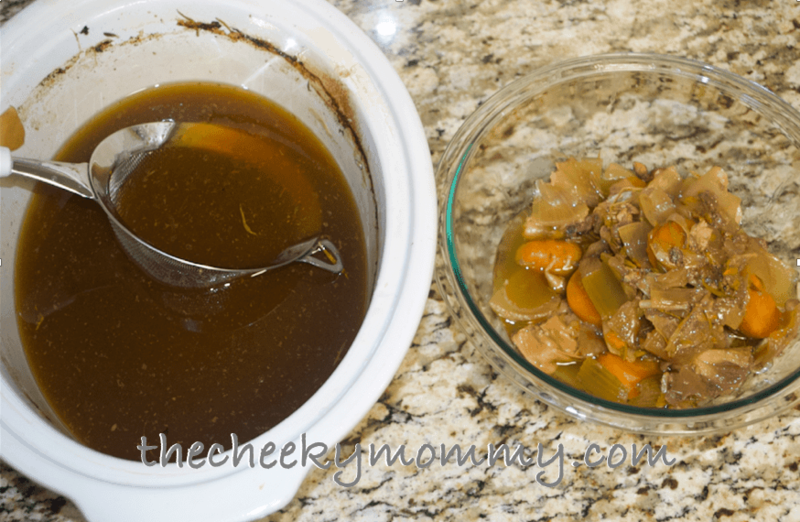 Now you have a crockpot full of strained broth and some overcooked veggies to snack on. Use the measuring cup to pour the broth into the freezer safe mold (alternatively you can use a muffin tin) and place in freezer until solidified completely, about 4 hours. I also use tupperware of different sizes depending on what I anticipate using the broth for. 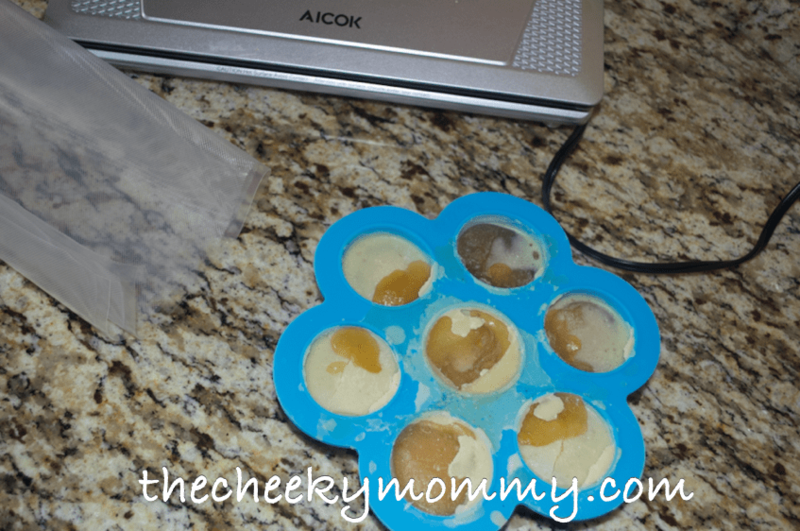 This mold is great for freezing an appropriate single serving size for a child. I use larger tupperwar for freezing soup base portions or an adult serving size. Once frozen, removed broth from mold and individually vacuum seal. You can place these neatly in a gallon size ziplock with the date. You can preserve this bone broth in a regular freezer for up to 6 months or a deep freezer for up to 12 months. Always properly label and package food you intend to keep for longer periods of time. 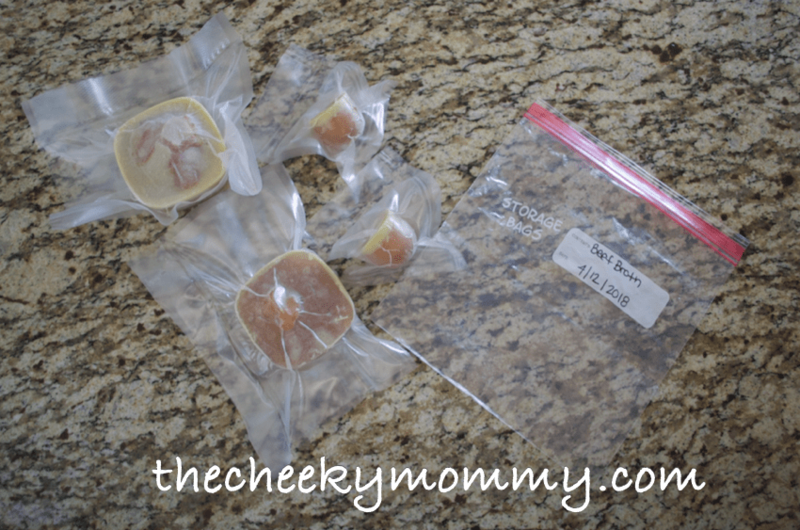 I used this vacuum sealer sealer for all food I store in the freezer. It works well and is not expensive. 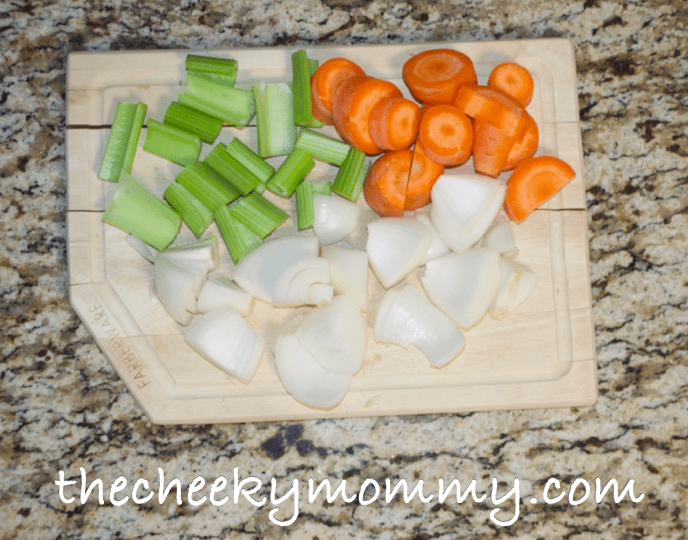 The next time your family gets sick or you are making a soup you are ready to go! I hope you like this recipe. Feel free to leave a comment.